So what does someone with no time and no baking skills do when they want a quick and easy dessert? 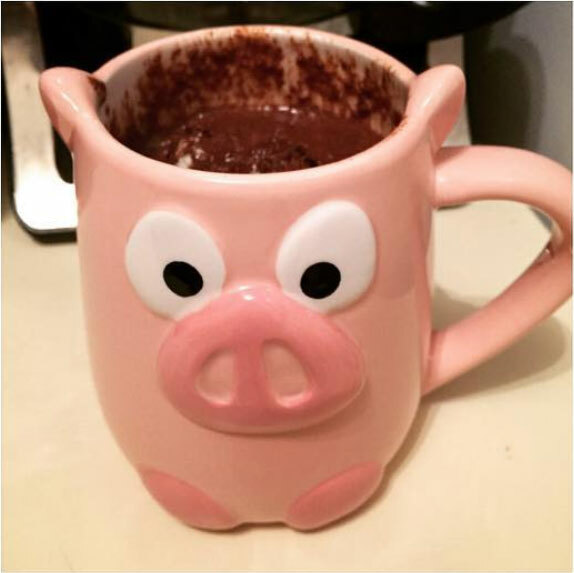 My friends, meet…the 1 minute protein mug cake! Not only is this super simple and fast to make, it’s also a great protein snack that (I think) is also slow carb friendly. At the very least, it’s a great easy way to up your protein if you’re not really a protein shake type of person. Heat in the microwave for 25 seconds (give or take), or until the middle is cake-like and the top and edges are slightly running. ***Since all microwaves are slightly different, start with 25 seconds to test out, and put back in for a few more seconds if necessary. Make a mental note for your future baking. Get your fork and start nomsin! 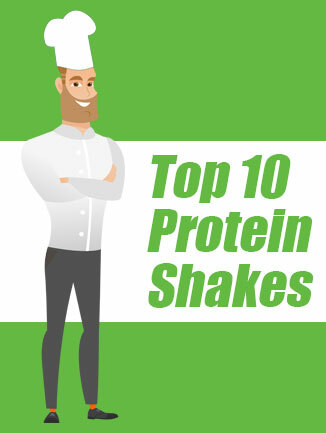 Sign up to get early access to the upcoming guide of our top 10 protein shake recipes. Oh this is a great idea! Toddlers definitely make things pretty hectic at times haha! The great thing about mug cakes, besides their great taste, is that you have automatic portion control. In my world, cake is cake…I’m not the biggest fan…but that mug…so cute!!! I’d be willing to give the cake a try if it meant getting to hold that mug!! !